Coming off a strong period of sustained growth, demand for remodeling services softened somewhat in the first quarter of the year. Although growth remained positive, industry professionals reported lower levels of business activity and shortened periods of project backlogs compared with the previous quarter. Nonetheless, remodelers are optimistic that better business conditions in the second quarter will revive demand. Early forecasts had predicted that industry growth in 2019 would remain positive but at a more modest pace than in the past several years. The most recent Leading Indicator of Remodeling Activity (LIRA) release, for example, projected that gains in renovation and repair spending to owner-occupied homes in the U.S. will shrink from 7.5% in 2018 to 5.1% in 2019. MetroStudy anticipates that remodeling growth will stabilize and ease slightly, dropping from a 4.8% increase in 2018 to 3.0% this year. Signs of a slowdown can be seen in some recent industry reports. The just-released Q2 2019 Houzz Renovation Barometer finds activity in the first quarter dropped across most sectors compared to the fourth quarter of last year. The Recent Business Activity Indicator for architects and design services fell two points. The Project Backlog Indicator remained steady at 4.7 weeks but was down 1.4 weeks from the same period a year ago. Overall, the construction sector experienced flat growth compared to the previous quarter, which had declined from earlier in the year. The backlog of projects remained steady but were 4.8 weeks below that of a year ago. 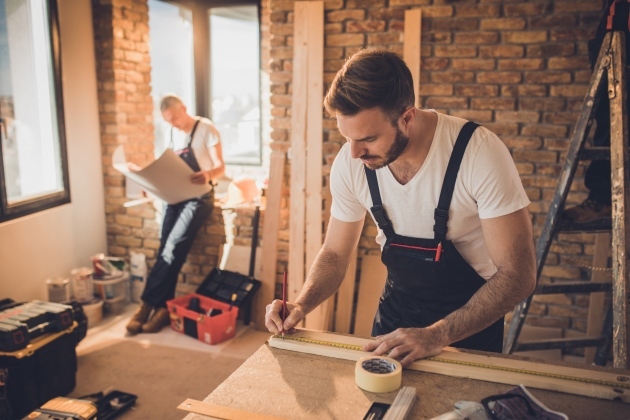 Similarly, the American Institute of Architects, in releasing the results of its first quarter 2019 Home Design Trends Survey, reports business conditions were positive but softened in the fourth quarter of 2018 for architects working on home remodeling projects. Billings in the fourth quarter slid 7.7 points from the previous quarter, and new project inquiries were down 6.1 points. Year-over-year, demand for remodeling additions or alterations plunged from 61% in the fourth quarter of 2017 to 41% in the same period of 2018, and kitchen and bath remodel projects slipped from 57% to 43%. According to Nino Sitchinava, principal economist at Houzz, professionals participating in the Barometer survey attributed the slowdown to “unusually cold and wet weather conditions, in addition to consumer apprehension caused by the government shutdown, tax refund uncertainty, and the high costs of products and materials.” They expect that, with business conditions and weather improving, activity will revive in the coming months. The Expected Business Activity Indicator for architects and designer services professionals rose five points from the previous quarter, and for the construction sector was up two points. Professionals anticipate that both the number of new committed projects and project inquiries will increase over the next quarter. Recent indications that the housing market also is picking up should give remodelers an additional boost.